Often children’s teeth and overall oral health can be neglected due to their age and presence of baby teeth. Yes, their baby teeth will fall out eventually, but they still need care and attention in the meantime. Healthy baby teeth will encourage health adult teeth. Also, teenagers whose adult teeth have already erupted require regular checkups to start their oral health journey off right. We know dentistry expenses can add up, particularly if you do not have private health cover. At Sydney’s Rainbow Dental our prices are very competitive, but there is another way you can reduce, and even eliminate, the dental costs for your children- the Medicare Child Dental Benefits Schedule. What is the Medicare Child Dental Benefits Schedule? Eligible families of children aged 2-17 years old can claim up to $1000 of dental services over two years. This is a fantastic scheme to help ensure the superior oral health of all Australian children and teenagers while taking the financial burden off parents. So why not take advantage of this Government funded benefit? We’ll Bulk Bill your child’s services so you can all leave Rainbow Dental Practice with a smile. To check your eligibility for the Schedule, visit the Medicare website at www.humanservices.gov.au. Our helpful dentists will discuss with you any restrictions to the Bulk Billing Scheme that may affect your child’s treatment. Creating an atmosphere that is nonthreatening, calm and enjoyable for children is our goal at Rainbow Dental. We want to foster a life-long, healthy relationship for your child with their dentist and educate both you and your child on Preventative Dental techniques. 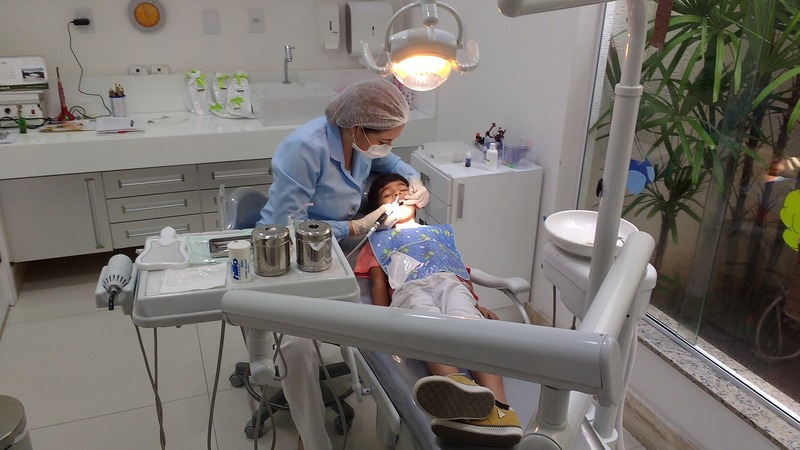 Our Dentists understand that children – and adults! – can often suffer from anxiety when checkups are due, so we’ll do our utmost to avoid any stress and use gentle dentistry interventions. Young children can develop habits such as tongue thrusting and thumb sucking, which can in turn result in malformed teeth and alignment. Our children’s dentists can help resolve these issues and ensure your child’s teeth are developing normally. A general recommendation is for children from the age of 2 years old to come in for their first appointment – we’ll make it fun, relaxing and enjoyable. They’ll want to come back! With Medicare’s $1000 Child Dental Schedule, making your child’s oral health a top priority is easy and affordable. Sydney’s Rainbow Dental Practice is ready to put your children on a path of strong, healthy teeth for life – and we’re right near Rhodes! Book an appointment today with our friendly and experienced dentistry team by calling 02 8021 5285. There is free 30-minute parking available in front of our clinic. P6 paid parking is also located within 200m of the Practice.